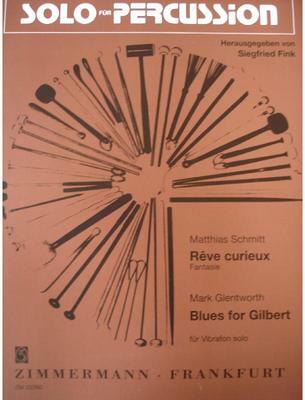 Blues for Gilbert is dedicated to the memory of Gilbert Webster, Mark Glentworth's percussion teacher. This 4-mallet piece for solo vibraphone is one of Glentworth's earlier works, and has since become a percussion standard. The work originated from a vibraphone improvisation played for Gilbert Webster that Glentworth later wrote down. The bluesy, reflective mood and nuanced phrasing is musically demanding and calls for technical precision from the percussionist. What do you want to know about Blues for Gilbert?